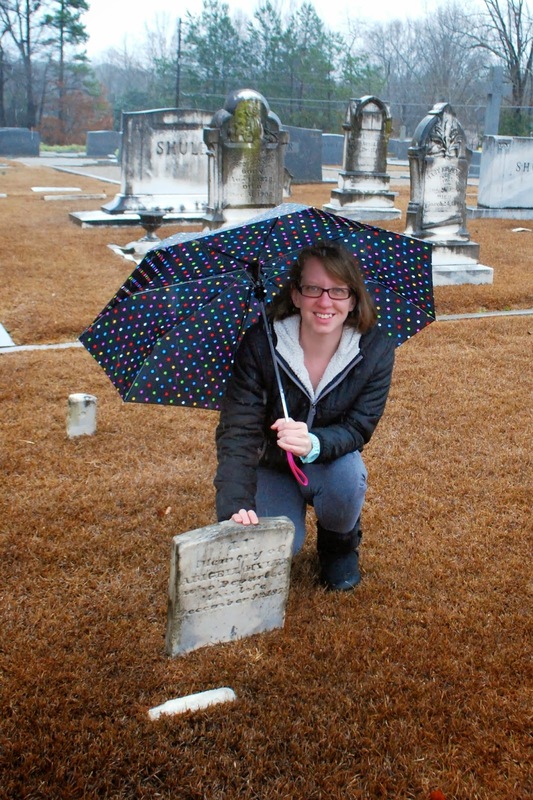 When on vacation earlier this month in Columbia, South Carolina, I re-visted the St Michael's Lutheran Church Cemetery. I'd visited the cemetery before, but it was the last stop on a long trip and I really didn't give it the attention it deserved. This visit was on an early, rainy and cold morning. I was looking for the graves of my Hyler and Meetze/Metz families, which were documented online already at FindAGrave.com. Even when there are photos of my ancestor's graves online, I really prefer to visit myself and get my own photos (partly for copyright issues, partly to take a better photo) and get a sense of where they lived.